The 2013 ANZIAM conference is over. You can view the final schedule and proceedings on the Conference Programme page. ANZIAM, a division of the Australian Mathematical Society, is the professional association for industrial and applied mathematics in Australia and New Zealand. The annual conference of ANZIAM is an established gathering of applied mathematicians, scientists and engineers, which will be hosted by the NSW Branch in 2013. The host city of Newcastle is only two hours north of Sydney, and the venue is the Newcastle City Hall, centrally located close to transport, beaches and restaurants. For biographies and links, please visit our speakers page. 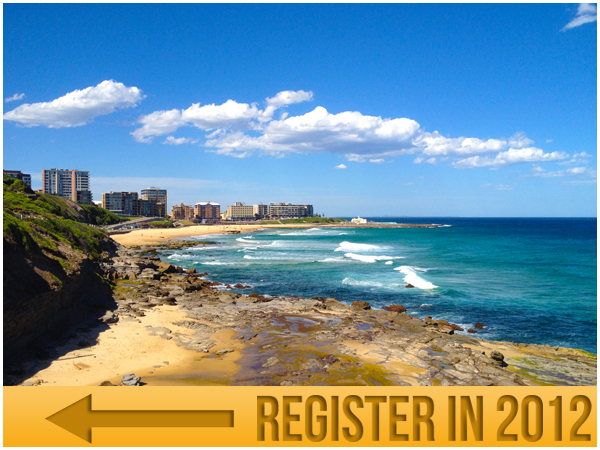 Registrations for ANZIAM 2013 are now closed. The deadline for abstract submissions has passed and abstracts are now closed. © 2012 Copyright CARMA, ANZIAM. All rights reserved. Contact Us.